Mary “Louise” Menk, 91, died peacefully Sunday afternoon August 26th with her family by her side. She was a remarkable woman and well known in the Carefree, Arizona community. She stood gracefully upright, wore clothes elegantly. Her coiffure was a delight, her demeanor a joy. She was always the kind of person everyone was happy to see, compassionate, caring, an excellent listener, and an absolute study in grace and elegance. Louise was born in Livingston, MT on May 28, 1927. As a young girl she dreamed of seeing the big world. And that she did! She began working at a young age cutting strawberries for Wilcoxson’s Ice Cream. She and her friends saved money from this work to hire a piano player from the Murray Hotel to play the piano so they could learn to dance. Louise, the daughter of an old Texas cowboy, Oliver L. White, was an accomplished horse woman riding her beloved horse Whiskey Pete’s Peppy Joe in many a rodeo competition. Always an advocate against cruelty to animals, she once witnessed a rodeo cowboy punish his horse when the competition did not go as he had planned. Louise lept off her horse, raced up to the announcers stand, grabbed the mic and loudly broadcast, “If you lay one more hand on that horse I will lay you out flat.” Louise was never afraid to stand up for what she thought was right. Her mother Clara Becken White was a kind and gentle soul, a wonderful baker, gardener, and nurturing mother to “Mary Lou” and her brother James “Jimmy” White. Clara taught her children the importance of hard work and volunteering through her example. Louise graduated from high school in Arlee, MT, salutatorian in her class of two! During her high school years, she raised “bum” steers to pay for her college education. She studied two years at the University of Montana then finished her degree in Fashion Design at Southern Methodist University. She then returned to Missoula, MT to marry her first love, John “Jack” D. Irwin who was finishing his law degree. They later settled in Billings, MT, where they built their home, Jack opened his law practice, and they had two daughters. Jack was well known and respected. He was tragically killed in a plane crash in November of 1959. Louise decided to start a new life the summer of 1962 and moved to Arizona with her two daughters. She designed clothes for shops on 5th Avenue in Scottsdale. Soon tiring of the slow pace, she obtained a real estate license, landing her a job in the mortgage business. The company she worked for was near Dean Witter in downtown Phoenix and she spent her lunch hours watching the ticker tape and nights charting stocks. She and her boss soon determined that her heart was in the stock market, so she resigned from the mortgage business, and being a woman of extreme intelligence, she quickly became a successful investor. She was so successful that the Arizona Republic featured her on the front page as “a woman who conquered the male dominated stock market business”. After some years, she returned to ranching and “snow birding” between Billings, MT and Scottsdale, AZ. In 1983 she met her second true love, Louis W. Menk, a leader in the railroad industry. The moment they met, they knew they were meant for each other and married February 7, 1984 in Carefree, AZ. They shared many years of happiness until Lou’s death in November 1999. Louise was an avid and accomplished golfer, winning many tournaments. If that wasn’t enough, Louise also could trump anyone at Bridge. Playing Bridge since college, Louise kept her skills honed by playing regularly during her life. One of Louise’s pet peeves was litter. She loved to hike and being an avid hiker realized the need to keep the trash off the trails. She gathered a group of local women and started a hiking group to help keep the trails clear of litter, they named themselves “Trail Trash” hiking group. Today, this group continues to hike and keep our beautiful Sonoran Desert free of litter and has 60+ members helping out. Another of Louise’s accolades was the women’s local Wednesday “lunch bunch” at Harold’s. Over the course of 15 years and after paying for the lunch and tips they “socked” away over $17,000 that was given to local charities. 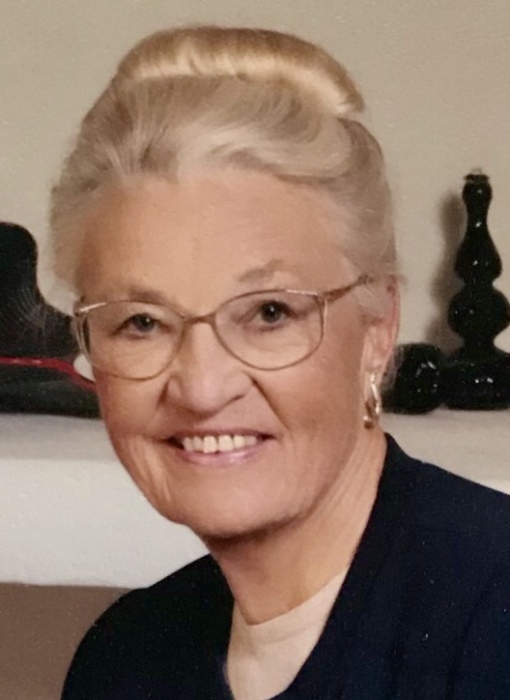 Throughout Louise’s life, she was a philanthropist and volunteer to many organizations including the Desert Foothills Land Trust, Desert Foothills Library, The Heard Museum, and the Foothills Caring Corps. She was a Trustee Emeritus of the Yellowstone Art Museum and served on the Board of Directors at the Crisis Nursery Inc. Arizona. Louise and her husband Lou were passionate about and avid supporters of the Desert Foothills Land Trust from its early days. Louise recognized, encouraged and supported several talented and struggling artists throughout her years. She also set up funds that provided scholarships to students at the University of Montana through the John D. Irwin Jr. Memorial Scholarship and at Arizona State University through the Louis and Louise Menk Endowed Scholarship. Mary Louise Menk is survived by her two daughters, Patricia Townsend, Carefree, AZ and Peggy Soriach, Edmonds, WA. Grandchildren: Jennifer Costello (Brian), Sara Johns (Morgan), John Townsend (Heather). Great Grandchildren: Megan O’Neill (Michael), Whitney Wallace Costello, Zoe Costello, Rayne Johns, Dylan Johns, Bruce Townsend, Rylee Townsend. Great-Great Grandchildren: Landon O’Neill, Maryella O’Neill, Abigail O’Neill. In lieu of flowers, contributions may be made to the Desert Foothills Land Trust, P.O. Box 4861, Cave Creek, Arizona, 85327 in her memory, or to the nonprofit of your choice.